Corky (John) Boyd '85 started his career years ago in the WWHS auditorium. 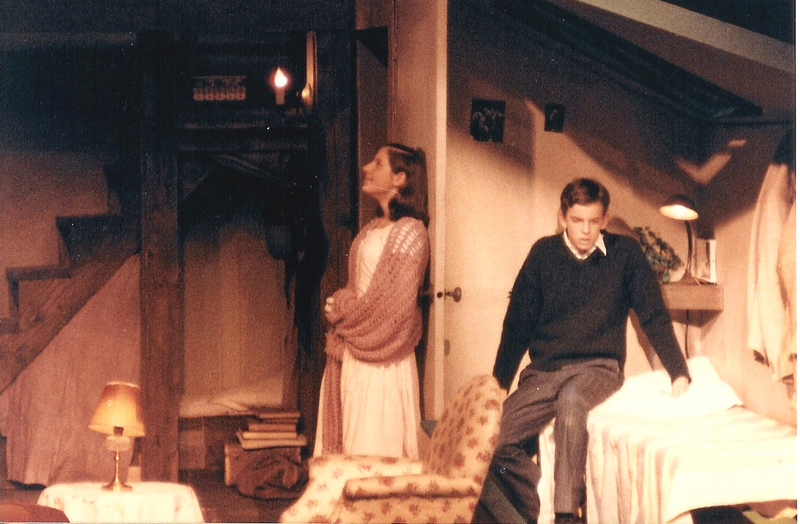 "I was lucky enough to have done the scenic and lighting design for Diary of Anne Frank in 1985," states Corky. Today, he is the Vice President of Hudson Scenic Studio, a leader in scenery fabrication and mechanization, with a 72,000 square foot facility that provides state-of-the-art engineering, construction, and scenic art. "I have been working in New York since graduating with an MFA from Yale in 1992. I work for Hudson Scenic Studio one of the largest scenic fabricators in the country. Building and automating scenery for many Broadway shows we will be represented by new productions of Billy Elliot, South Pacific, Dirty Dancing and Nine to Five in the coming season. As Vice President I spend most of my time on the planning and commissioning of the ever increasingly complicated scenery for shows like The Lion King, Chitty Chitty Bang Bang, Spamalot, Beauty and the Beast and Mary Poppins. Last year we built and automated the new ball for the Times Square New Year's celebration." 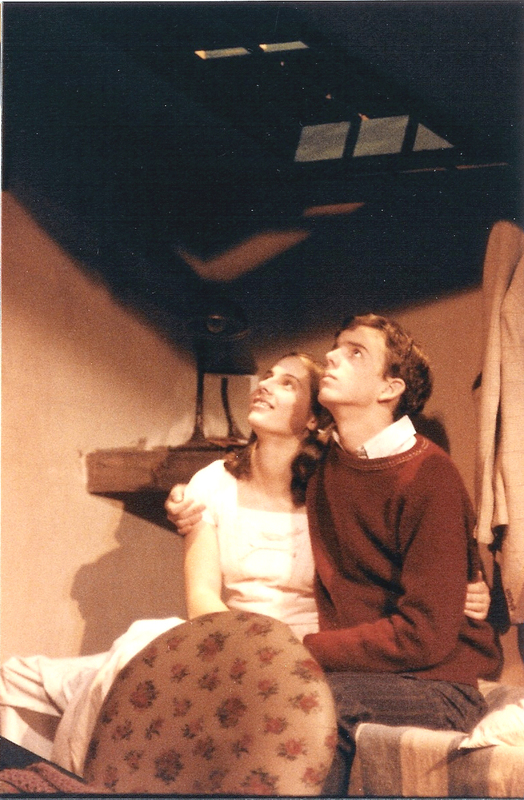 Corky recently found some photos from his high school set and lighting design of Diary of Anne Frank, starring Kelly Hedtke Grant '88 and Scott Prendergast '88. View photos here, #1, #2. " Watching Kelly and Scott in the show I should have known they were destined to go on to successful entertainment careers," states Corky. "WHAT A TALENT!" states Julie Accuardi, retired Wilson dram teacher. "Corky, along with his friend John Ceniceros, could design, build, and light anything. They turned the stage and room 108 into small theatres. The Diary of Anne Frank set was two stories high! They were magic, and I was so lucky to work with them. Corky sent Wilson a huge crate of curtains and scenic drops as a gift from Hudson Scenic a few years ago. We used them on Camelot and I am grateful to him to this day. Corky is a treasure, and Hudson Scenic is very lucky to have him!" Hudson Scenic Studio is connected to WWHS in another way, as well. "I find it remarkable that much of the scenery Kelly Hedtke Grant '88 plays against on Phantom of the Opera every night was built by Hudson Scenic Studio." Kelly is currently on tour with the Phantom of the Opera. To learn more about Corky and Hudson Scenic Studio, Inc. go to: http://www.hudsonscenic.com/index.php or email Corky at atcboyd@hudsonscenic.com.